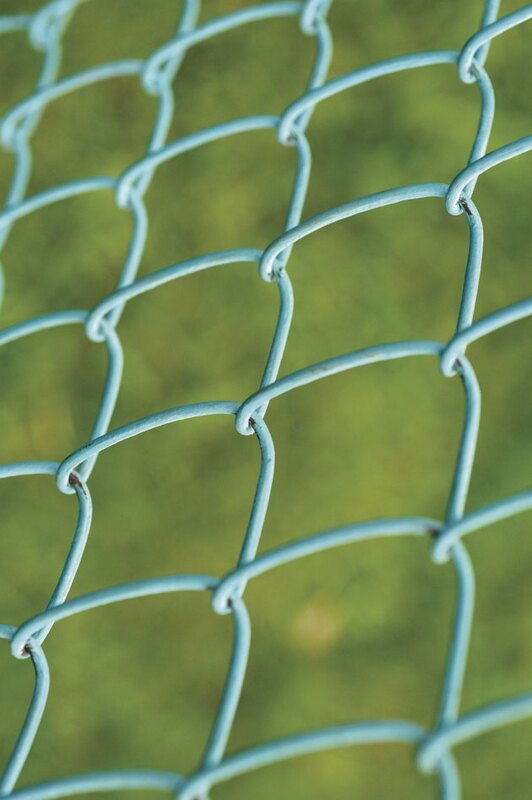 Retailers sell fencing slats in a variety of colors and sizes, but the total cost of obtaining enough for the length of a chain link fence is considerable. Fortunately, you can avoid the expense by creating your own privacy fencing slats. Manufacturers create the slats with vinyl, but you can use any material that is durable and weatherproof. If you are a do-it-yourselfer, the process of creating and installing your own fencing slats can be enjoyable. Keep your yard private with homemade slats for a chain link fence. Place the plastic sheet on a flat surface. It is best to take the sheet to a spacious area where you can work without damaging the surface. Ensure that the length of the sheet is equal to the height of the fence. Make marks at 1¼-inch intervals along the top edge of the sheet. Make the same marks across the middle of the sheet and along the bottom edge of the sheet. You may use a measuring tape or ruler for accurate measurements. Draw straight lines from the top of the sheet to the bottom to connect each group of three dots. Cut along each line to produce the slats. Use a utility knife. Insert the strips into the chain link fence. You can insert each strip straight down by pushing the top end through a hole at the top and the bottom end through a hole at the bottom, or you can weave the strips through more holes in the fence. If you choose to arrange the slats diagonally, cut additional slats to fit gaps where necessary.